The archives sometimes are full of treasures and overwhelming. The main issue becomes therefore how to give life to these treasures, how to build new knowledge from what already exists without having a voice, how to mark a path to follow. A unique case how to tackle this issue is offered by the Imperial War Museum, probably today one of the richest war museums, and by the great book edited by Max Arthur, The Faces of World War I. The Great War in Words & Pictures (published by Cassel). 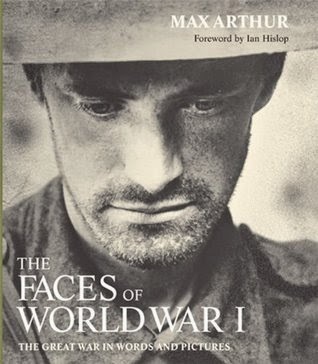 The project is somehow connected with the one led by IWM and called “Faces of the Great War”. Why all this interest for the human face during the First World War? We think we can detect at least two main reasons that motivate and sustain this interest. First of all we should never forget the Great War overlaps with the first extensive use of cameras. Secondly, and not in order of importance, we can see an attempt to give back the human side of a war that by far was the first experience of mass death. The thread of the human face is what allows the author to build up a book where nothing is let aside. Through the faces we get closer to all the shades of psychological and physical trauma. This book is a real journey lasting five years. And there is always a kind of faint that occurs when we are staring at an old picture for a long time, concentrating, entering the image, trying to give a sound to its silence, even when this picture is just a mute portrait. The author of this book, obituary writer for "The Indipendent" and one of the most renowned British oral historians, develops his five-year analysis through a visual journey that starts in 1914 with the Christmas truce and touches every year of the Great War: 1915 with Neuve Chapelle and Gallipoli, 1916 of course with Verdun and The Somme, the long 1917 with Arras and Cambrai and then 1918 with Picardy and the armistice. A deep overlook is also dedicated to the aftermath. A clever use of caption is essential in a photo book and we cannot really ask more to the lines that stand below the images. More words are pointless, this is really one of the greatest photography books on the First World War today available, for all the above mentioned reasons.